The synchronization feature is protected by username and password. Of course all the data transmission is protected by SSL encryption, and your data and passwords are never sent in clear text over the air. We recommend you to create one username for every physical person, so if you have a smartphone and a tablet for example, you can use the same username on both devices. More people of the same club, like coach, assistants, players, parents and so on should create an individual username each. 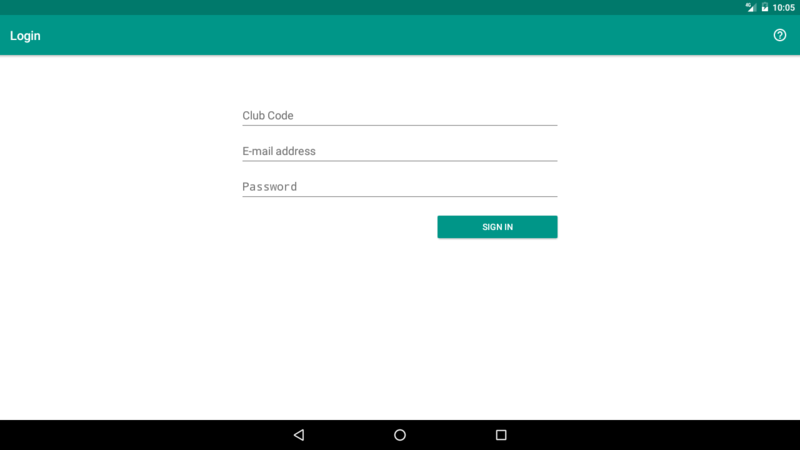 They all share the same Club Code, which remains the same as in the old versions of the app. If you’re upgrading from an old version of the app and were already using the synchronization, you will be asked if you already have username and password from another of your devices. If you do, you can enter them on the next screen and synchronize immediately. If you don’t, you can register on the next step by creating a username (your email address) and a password. Please give an existing email address to be contacted if you forget your password or there are other issues with your account.